Thinking about winter while it’s still warm outside might seem a bit mad – but hear us out! Now is the best time to plan your heating system for when the weather changes. If you’re fed up of feeling cold in your home, or your bills were higher than they should have been last winter, why not try something new? 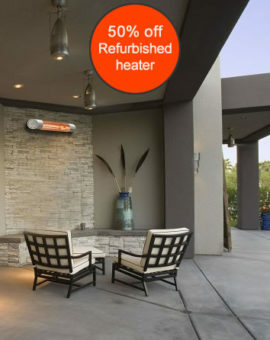 More and more people are turning to infrared for more effective, efficient heating. 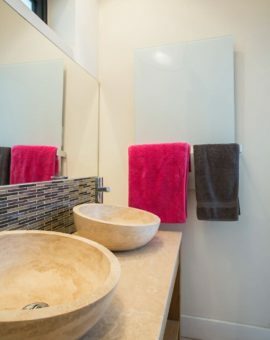 Infrared heating runs off mains electricity, but is far cheaper than any other form of electric heating- and in some cases even cheaper than gas. What makes infrared different is that it works through radiation, not convection. Infrared heating is completely safe – it’s warms you in the same way as the sun! With convection heating, such as that given off by radiators or storage heaters, the air that is heated can be lost easily through draughts. You heat up a room, open the door, and then suddenly it’s cold again. This isn’t an issue with infrared, because it doesn’t heat the air. 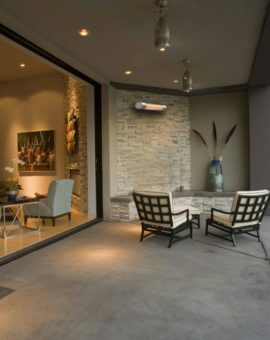 It targets heat at solid objects, meaning it heats you directly – as well as the furnishings and the walls, floors and ceilings. This ‘thermal mass’ then continues to give off heat once the panels are switched off. It is efficient and cheap to run. 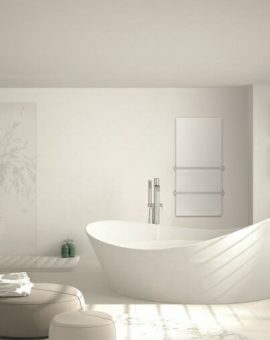 It will keep you warm and can be controlled as part of a smart heating system for optimal results. 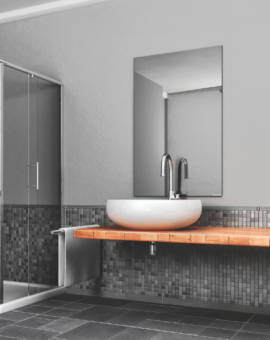 The panels also look great – they take up less space than radiators, can even be hidden on the ceiling, and come in a range of finishes, including mirror and glass. 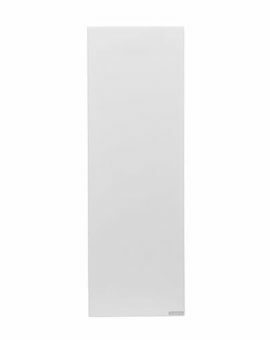 Infrared heating also helps discourage damp and mould, because it penetrates walls and helps keep them at a moderate temperature. 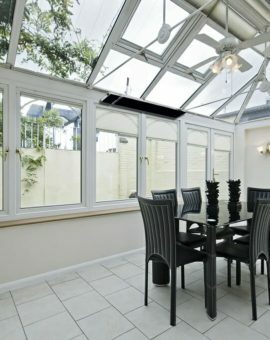 Condensation occurs when a surface is a considerably different temperature than the air surrounding it, so by warming the walls, you will stop water vapour settling. 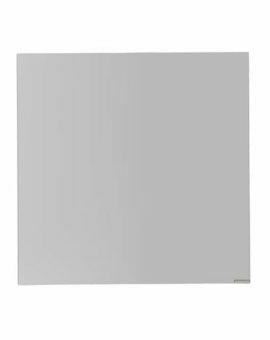 Infrared heating panels do not include fans, nor do they circulate hot water, so they are very low-maintenance. This means no hidden costs or DIY bleeding, balancing or replacing parts! 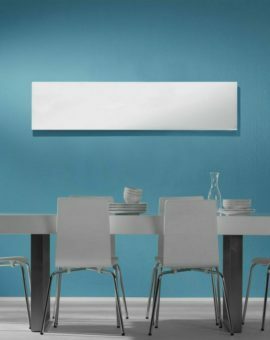 Infrared heating panels do not circulate dust or pollen around the room, so they are great or those who suffer with allergies. Infrared radiation keeps you warm by increasing your blood circulation, which can also have benefits for your health. Is infrared a good option for me? If you have access to electricity, you have the budget for the initial installation costs, and you’re unhappy with your current heating system, then it could well be! 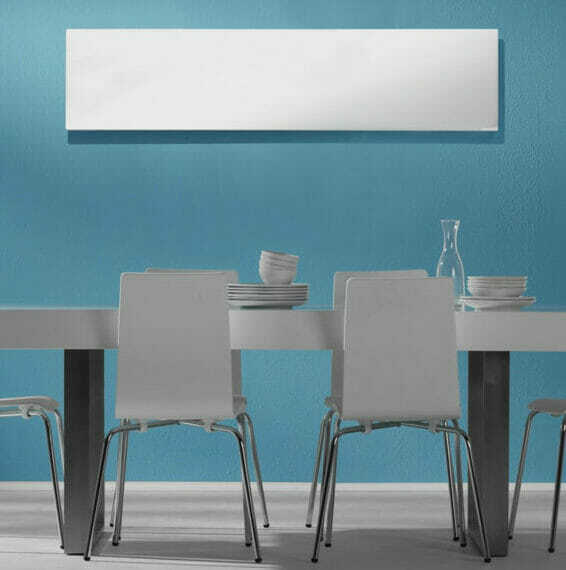 The low running costs and aesthetics of infrared heating panels make them a great option for many homes. Give us a call at any time to talk through your requirements. Benefits of infrared highlighted in mainstream media this morning!